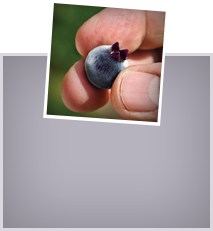 A day devoted to celebrating the blueberry pancake sounds delicious – but what is the origin of this auspicious occasion? Well, we’re not sure…but who cares? A party for the blueberry pancake is warranted. It’s a traditional comfort food that delivers its maximum pleasure at breakfast but also makes an indulgent and easy dinner – an inspired idea when you’re short on entrée selections. And, made with good, natural ingredients and sporting a nutritious helping of fruit, pancakes can be genuinely healthy. So celebrate! Blueberry pancakes are truly deserving. In a previous post, A Passion for the Pancake, we extol some of the many virtues of all types of flapjacks. You’ll find the good the better and OMG when it comes to this celebrated dish. We’ve also got the last word on making the perfect pancake every time. Tossing wild blueberries into your batter (or arranging them on the B side, a la Kenny Shopsin) gets you into the good habit of adding fruit to your meals. 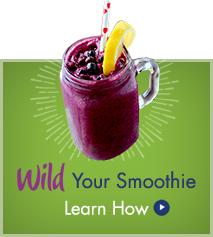 Blueberries, best if wild, means you’re getting a serving of powerful antioxidants. Breakfast is a recommended way to start the day, and with this dish you won’t be skipping. They signal something special is in the air and delight kids and adults alike. If those golden disks just aren’t for you, take heart—National Croissant Day is just around the corner! Woman’s Day has Low Fat Blueberry Pancakes. The Examiner recommends Lemon Blueberry Ricotta Pancakes. 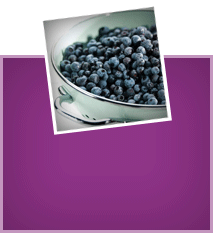 Buckwheat Banana Pancakes with Blueberry Sauce is from the Wild Blueberry Association. Blueberry pancakes are always a favorite! 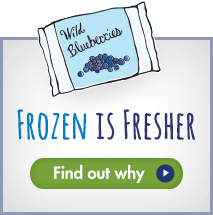 I will definitely have to give wild blueberries a try next time.